Ships today if you order in the next 9 hours 36 minutes. Dry, brittle and tired-looking hair got you down? Don't be blue! 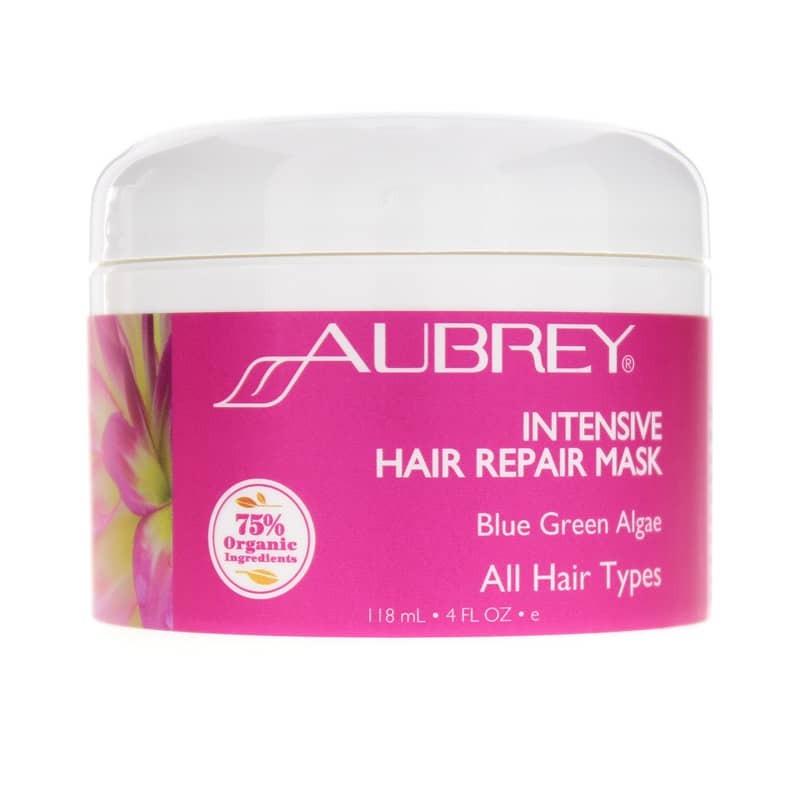 Help rejuvenate your look with Aubrey Organics' Intensive Hair Repair Mask with Blue Green Algae. 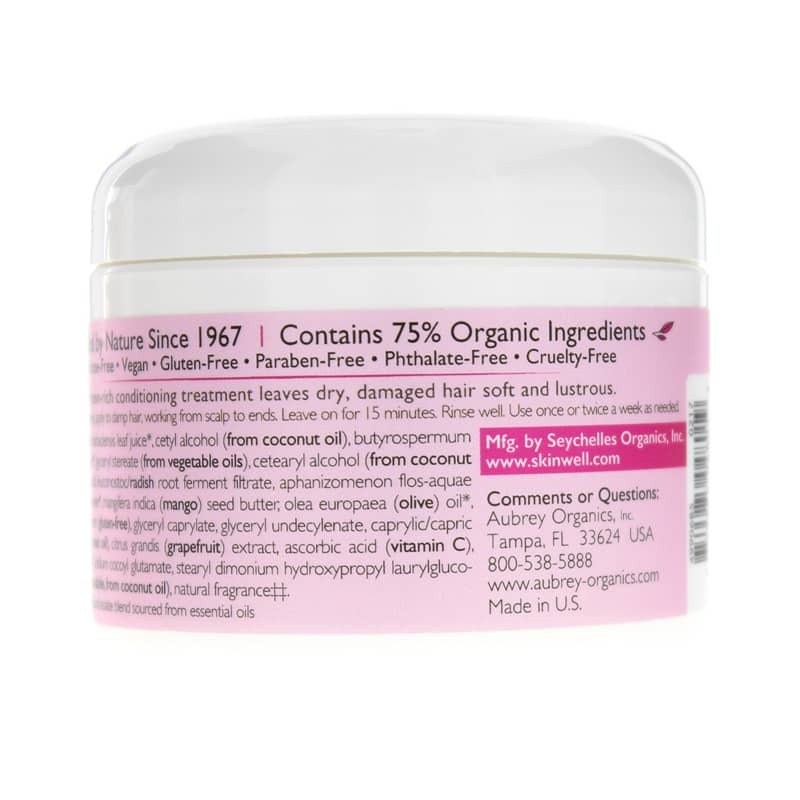 This ultra-conditioning organic and vegan hair mask combines protein-rich blue green algae and luxurious natural emollients to support dehydrated hair. Ideal for chemically treated or damaged hair, Intensive Hair Repair Mask with Blue Green Algae helps hair look and feel soft and lustrous and ready for any style! The super luxurious secret to this hair mask is its organic blue green algae. Full of protein and amino acid, it helps to nourish hair. 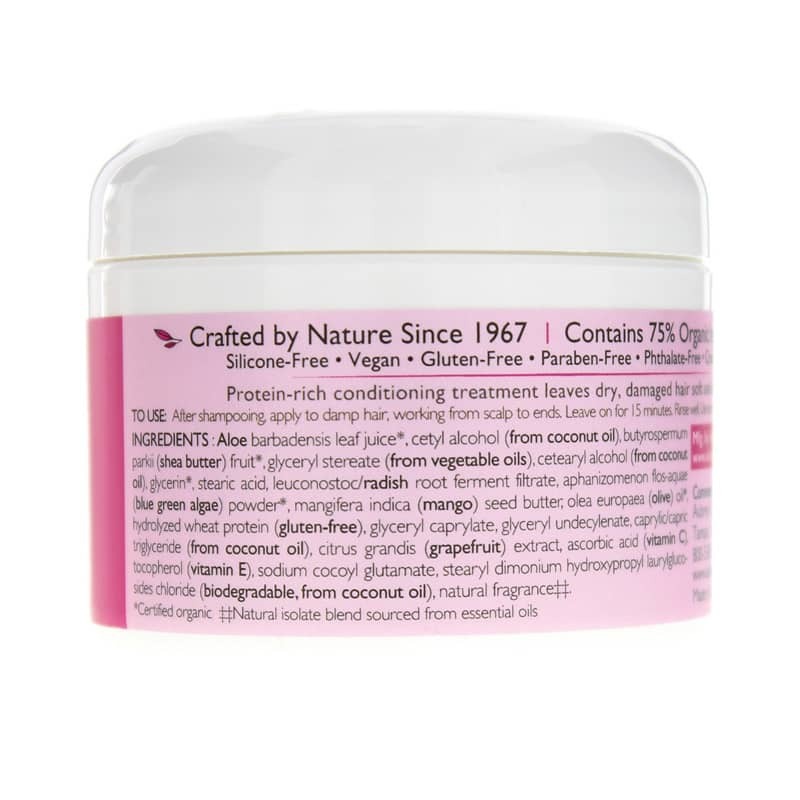 Plus, this mask also contains organic aloe and olive fruit oil to help hydrate hair fiber, and mango seed butter and organic shea butter to smooth and moisturize. Order Intensive Hair Repair Mask with Blue Green Algae today! Aloe barbadensis leaf juice*, cetyl alcohol (from coconut oil), butyrospermum parkii (shea butter) fruit*, glyceryl stereate (from vegetable oils), cetearyl alcohol (from coconut oil), glycerin*, stearic acid, leuconostoc/radish root ferment filtrate, aphanizomenon flos-aquae (blue green algae) powder*, mangifera indica (mango) seed butter, olea europaea (olive) oil*, hydrolyzed wheat protein (gluten-free), glyceryl caprylate, glyceryl undecylenate, caprylic/capric triglyceride (from coconut oil), citrus grandis (grapefruit) extract, ascorbic acid (vitamin C), tocopherol (vitamin E), sodium cocoyl glutamate, stearyl dimonium hydroxypropyl laurylglucosides chloride (biodegradable, from coconut oil), natural fragrance**. Adults: After shampooing, apply to damp hair, working from scalp to ends. Leave on for 15 minutes. Rinse well. Use once or twice a week as needed.